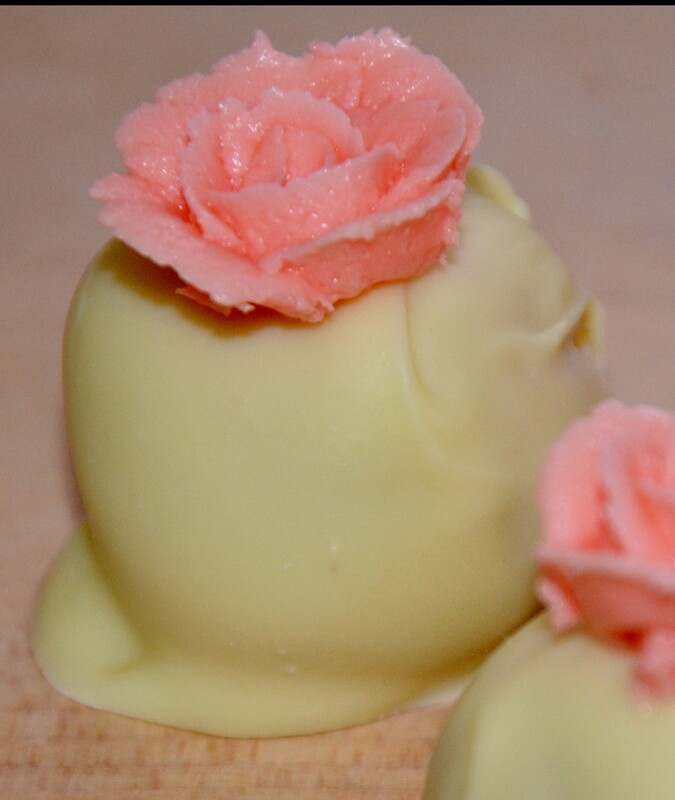 A great gift idea for wedding favors, Valentines’ Day, or a bridal shower. 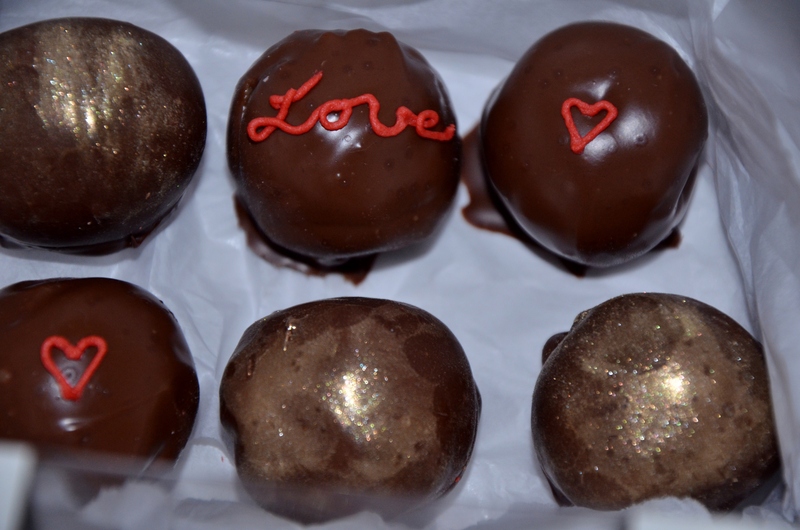 The below gluten-free cake truffles are white chocolate, peanut butter pound cake and double chocolate peanut butter truffles. 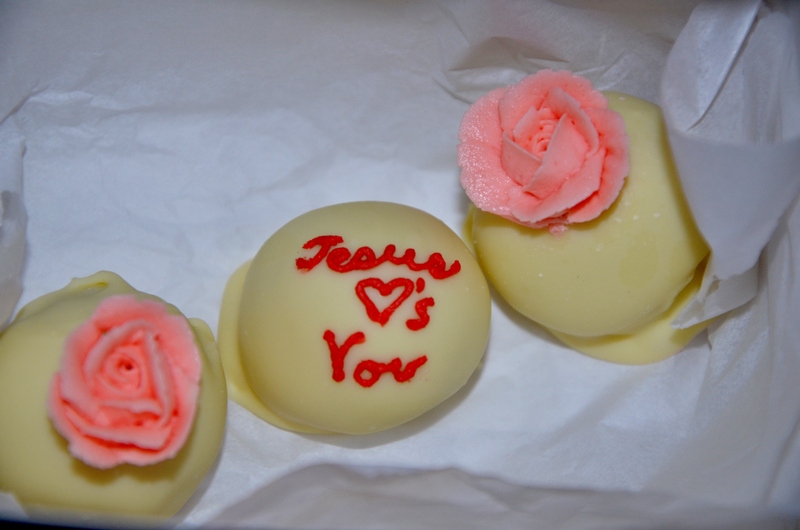 20.00/dozen. 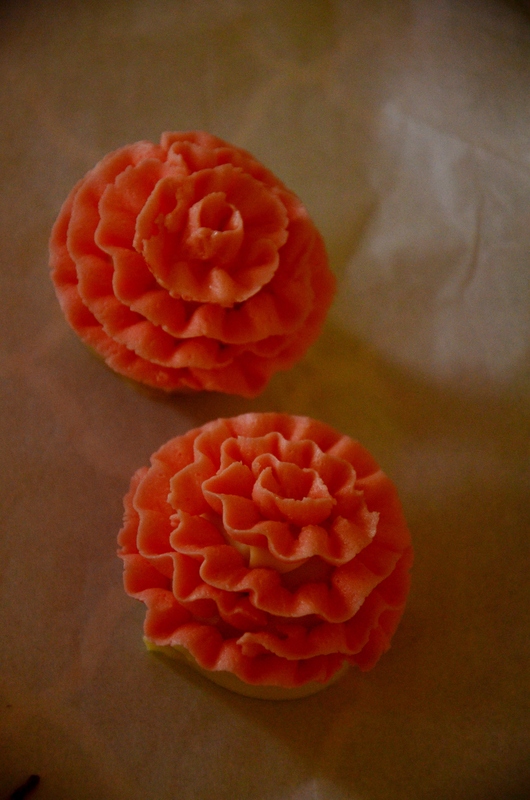 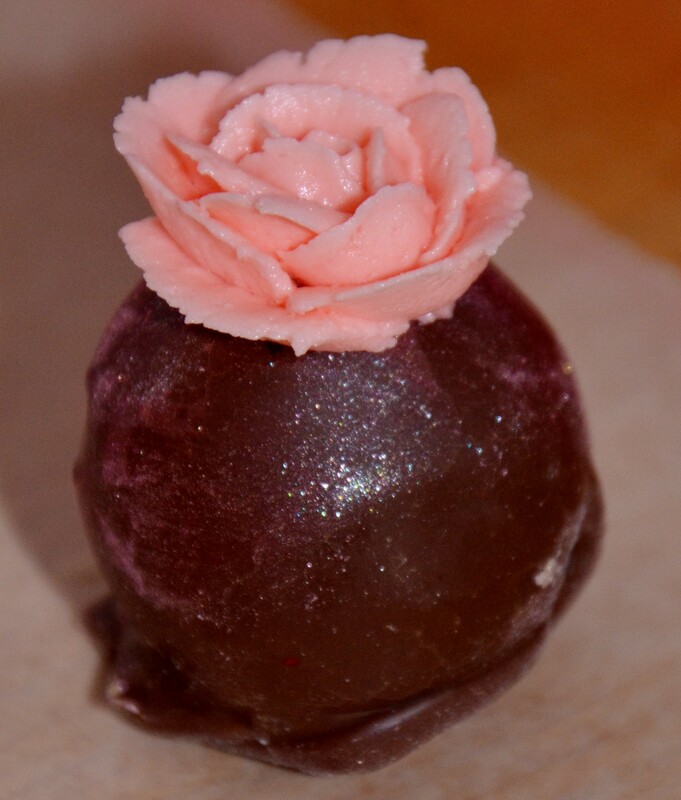 Have a special saying, flower or design inscribed on the top of your cake truffle. 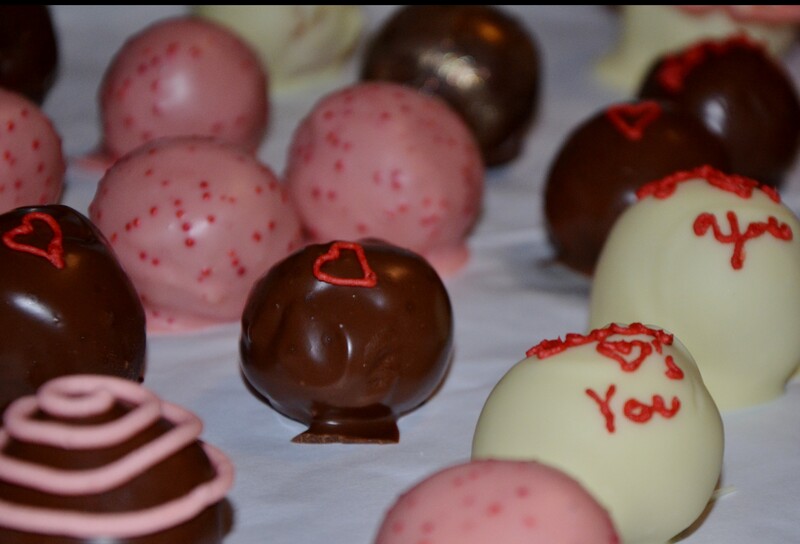 Order them today to surprise that special person in your life.